This summer you may be planning on a trip or otherwise cruising around on a motorcycle. Given that summer is the best time for riding, hitting the road sounds like a good time for riders. However, as with all activities, safety and legal responsibility should always be high priority concerns for everyone. So, this article will list the New Mexico Motorcycle laws that you need to know, and give you a few safety tips to stay safe while riding. 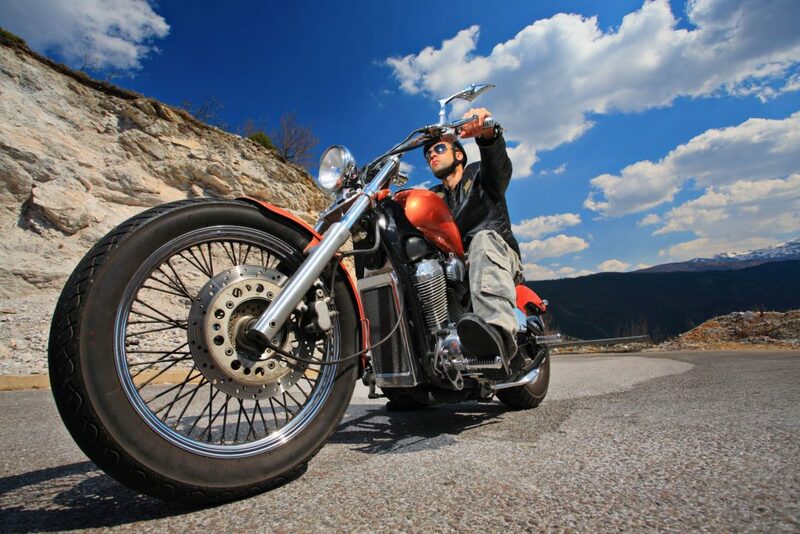 What New Mexico Motorcycle Laws Should I Know? Any rider under the age of 18 needs to be certified by the New Mexico Motorcycle Safety Program. There is no age restriction for motorcycle passengers, but every person who is on a motorcycle and is under the age of 18 is required by law to wear a helmet. At least one headlamp, but no more than two. The headlamp(s) must be between 20 and 54 inches from the ground. You do not need to wear a helmet if you are older than 18. However, the Insurance Institute for Highway Safety (IIHS) reports that helmets prevent lethal injuries in 37 percent of crashes. Eye protection is required for motorcycles that do not have fixed windshields. Motorcycles are subject to random safety inspections by law enforcement. A motorcycle must have foot rests for passengers, and may only carry passengers if it was designed to do so. Reflective material is required for helmets. Two riders may ride side-by-side in a single lane. Even the most seasoned riders crash from time to time. Think about what you would need in the event of a crash. This means wearing durable clothing that is easily spottable by other vehicles, keeping a first aid kit, and making sure to wear a helmet no matter how old you are. Motorcycle crashes are nerve-racking and painful, but knowing what you will do in case of a crash ahead of time will help to keep you safe. Do not only carry minimum insurance coverage. Think about what could reasonably happen in the event of a crash. If you are on the road, you should have liability insurance, comprehensive insurance, and uninsured motorist coverage to make sure that you are covered in most circumstances. Also, it would be a wise idea to have roadside assistance. Even if you know how to fix your motorcycle, being trapped on the side of the road, in the elements, and without a good set of tools usually isn’t much fun. Take a motorcycle safety course if you have not already. It take a tremendous amount of skill and focus to operate a motorcycle. Motorcycle safety courses, like New Mexico’s Motorcycle Safety Program, will help you learn how to stay safe and be a defensive rider.